This is a two-for-one story. 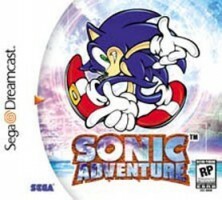 First, just minutes ago, Sega of America community manager Kellie Parker affirmed a more specific timetable for the XBOX Live and PSN release of Sonic Adventure. “In September 2010,” Parker simply stated through Twitter in response to a follower’s question. That narrows it down a good deal from the previous announcement last week, which simply pegged a Fall release timetable. So, the game isn’t far off, and to complement that good news, we have some footage of the re-release in action direct from E3, courtesy of GameTrailers. This is a little over a minute, and shows off Emerald Coast. One of things you’ll notice is how the game covers the entire screen. But don’t be fooled into thinking they’ve figured out HD–the camera simply appears to be shot at close range. You’ll also notice some of the control mechanics haven’t been refined. Some have commented that this appears to most resemble the SA PC port. You can judge for yourself in our discussion area below.